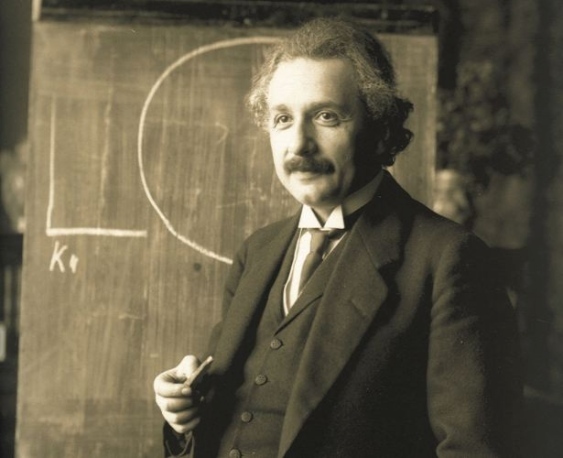 Albert Einstein: A Mystery Behind the Machine? In effect, like a later scientist –Steven Jay Gould — and unlike Baruch Spinoza, Einstein saw science and the divine as “separate magisteria.” His universe may have had a Creator, but one who did not intervene in our daily affairs. Whether our lives are ultimately predetermined or open to many possibilities, humanity’s liberation from our origins on this blue-green planet, and a path toward understanding the deep mysteries and responsibilities of existence remain open before us. [i] See, for example, “Loophole in Spooky Quantum Entanglement Theory Closed, by Tia Ghose, LiveScience staff writer, livescience.com — April 17, 2013; and various articles in Science magazine. This entry was written by Carl Proper, posted on January 26, 2015 at 9:20 pm, filed under Science and Religion and tagged Albert Einstein, Baruch Spinoza. Bookmark the permalink. Follow any comments here with the RSS feed for this post. Post a comment or leave a trackback: Trackback URL.